Ahmedabad, January 14: After the President’s consent on 12th of January, followed by the passage of bill in the parliament during the winter session, Gujarat becomes the first state to implement the 10 per cent reservation in higher jobs and education for economically backward sections in the general category. 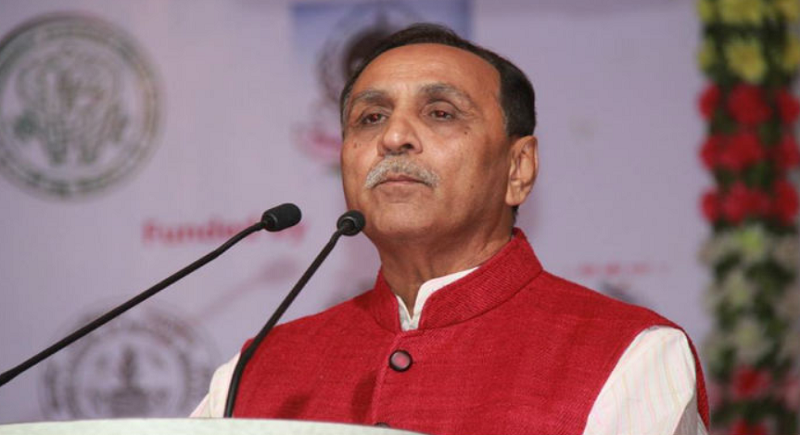 The Gujarat CM Vijay Rupani made an announcement regarding the implementation to instigate from today. The decision was taken at a core committee meeting of the Gujarat BJP in which national president Amit Shah was also present. The new quota took the State past the 50 per cent reservation limit set by the Supreme Court. Predictably, the 10 per cent reservation for the EBCs was quashed by the Gujarat High Court in August 2016 .The court held that it was unconstitutional and contrary to fundamental rights guaranteed by the Constitution. “The economically weaker sections from the general category will get 10 per cent reservation in admissions to higher education and government jobs starting Uttarayan on January 14,” the state government said in a release on Sunday 13 January. Meanwhile the Congress has claimed that this hurriedly made announcement is bound to create confusions amongst the candidates. “The government has said it will implement the provision from 14 January, which is Uttarayan holiday. The chief minister should explain the logic behind this announcement and the process to implement it.”, said the Gujarat Congress President Amit Chavda.